The public can attack President Trump for Twitter behavior that is beneath the office, but it shouldn’t ignore that while we let an entire media cycle get dominated by a Tweet about a morning show host on a cable network, the Trump Administration put into place new regulations regarding the profiles of people who can enter the United States from certain countries and what they are allowed to bring with them when they enter our borders. And we might want to question what really deserves our limited, ADHD attentions. On this day in 1863, the great state of West Virginia was formally admitted into the Union. While Eduflack may consider himself a Jersey boy, it is hard to forget that I am also a proud graduate of West Virginia public schools (Jefferson County Consolidated High School in Shenandoah Junction, West Virginia, to be exact). And while I left “By God” West Virginia for college, going across state lines to attend Mr. Jefferson’s University of Virginia, I went on to serve my adopted home of West Virginia. For years, I served as an aide to Senator Robert C. Byrd, a tremendous leader who shaped me in many ways. From the history of the Senate to the intricacies of the appropriations process to a thorough respect for the voters, Senator Byrd taught me the foundations that my professional life is built on today. He also inspired me to be the writer that I am today (spurred when he asked me to write him an hour-long speech linking the rhetoric of Aristotle and ancient Greece with the celebration of July 4th). But I started my career in public service as a staffer to U.S. Senator John D. Rockefeller IV, the then “junior” senator from the Mountain State. Twenty five years ago this summer, to be exact. It was as an intern for Senator Rockefeller that I penned my first congressional floor statement, a statement that Rockefeller read on the Senate floor on June 19, 1992 to commemorate West Virginia’s 129th birthday. It seems appropriate to share that statement today, delivered far better by Senator Rockefeller than Eduflack’s still developing writing deserved. Can You Teach a Superpower? 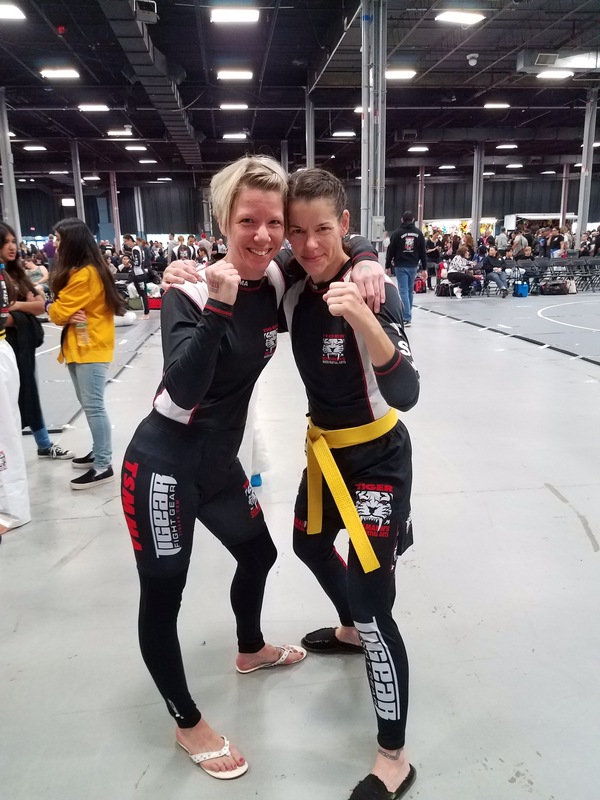 Last week, dear ol’ Eduflack wrote about the incredible learning experiences the Edu-family is getting from kickboxing. so this week, I’d like to turn the rostrum over to one of my Tiger Schulmann sisters, Amy Vondrak. A few nights ago at Tiger Schulmann’s Princeton, Sensei gave the advanced kickboxing class a scolding. About half the class had been late, which earned us quite a dressing down. The core message of his admonishment was the importance of self-discipline. In fact, the core of almost every one of Sensei’s talks is self-discipline. Now, even though (as he has often told us), “Sensei” means “born before,” I often feel just a bit odd about being the recipient of the wisdom of a man 20 years my junior. But actually, Sensei is right about a lot of things, and discipline is one of them. During his scolding, I thought about my students, as I often do at martial arts. I’ve taught developmental composition at a community college for 13 years. Sensei teaches martial arts much like I teach writing: he takes complex series of moves and “scaffolds” them, taking them a step at a time. Learning a double-leg take down to side mount to triangle choke takes weeks as we work through each of the component parts of each move. And Sensei often tells us that if we don’t show up to class, on time and consistently, we are not likely to get any better at martial arts. I tell my students the same thing, but most of the time, they don’t listen. I love my students. They have big dreams and so much potential. By and large, they are smart people who have been failed by an archaic educational system. But much of that potential gets lost because of the one thing they don’t have: self-discipline. They face huge challenges in life. They have jobs and kids and no money and crazy lives, so there are plenty of good reasons why it’s not so easy for them to get their work done and their butts in class. I’m not saying my students are lazy. Self-discipline is not a character trait, it’s a skill, one that they lack just as they lack writing skills. So they fail. Those of you who follow higher ed know that college students fail in great numbers. Then they feel even less able to take their place in the world, they feel even less powerful than they did when they walked into my class. That is not my mission as a teacher. My job is to show them their strength. Along with Eduflack, I fought in the 42nd Challenge of Champions. I chose to fight up a division, literally fighting above my belt, and spent the late winter and spring trying to get mentally and physically prepared. The physical part was easier than the mental. It’s easier to face burpees than fears. But I did it: I got on the mat and I fought, as did many of my TSMMA Princeton teammates. Now, I’ve been going to the CoC as either a parent or spouse of a competitor for years, and this was my second time competing. Our family is very familiar with the emotional intensity of that day. But for some reason, this CoC showed me something I had not fully seen before: the way in which fighting lets us win our life battles. Of course, I know that martial arts is way more than a workout. Of course I’d been vaguely aware that for all of us on the mat, it’s not just about getting in shape. But this CoC gave me a glimpse into just how much we are fighting our demons, and winning. We may not be superheroes, but fighting makes us feel like when life starts shooting, we’ve got metal bracelets, a cool shield, and some amazing powers. In reality, our amazing superpower is self-discipline. It is not easy to drag your tired self out to kickboxing on a Thursday night knowing that someone better than you is likely going to punch you in the face – sure, they’ll do it with respect and camraderie, but whatever, they’re still punching you in the face. And at the end of a few rounds of that, those burpees are waiting. But we do it. Again, and again, and again. Why? Discipline. And that discipline gives us tremendous power. We are less afraid of our demons and we are more powerful in our fight against them because our spines are stiffened with strong discipline. Bring it on bad guys, we got this. My focus as a teacher has long been on content: how to read and write. Of course, I’ve tried for a long time to figure out how to teach grit, or growth mindset, or whatever trendy term is hot this week. But as many of the critics of those buzzwords will say, how do you teach grit? “Grit” always seems to be found in heroic stories of grand characters who beat enormous odds. In contrast, self-discipline is small and boring. Self-discipline is the accumulation of many daily acts, most of which may seem unimportant in the individual, but are massively important in the aggregate. But self-discipline is a skill which can be taught, which can be broken down into its component parts and taught a step at a time with lots of practice. So this summer I am cooking up a semester-long self-discipline project to roll out in the fall. As a community college teacher, I’m not just trying to help students become better writers. Community college can be transformative, and it’s my job to help students feel empowered to change their lives. What I saw at the CoC was ordinary people fighting their demons with daily discipline, winning, and growing stronger because of it. This is what I want to share with my students as well – be disciplined, not just for your grade, but because your discipline will make you stronger than the world that tries every day to cut you down. Do your work. Fight for your grades. Fight for your degree. Because your fight, your discipline, gives you superpowers. Dr. Amy Vondrak (r) with Megan Barndt.